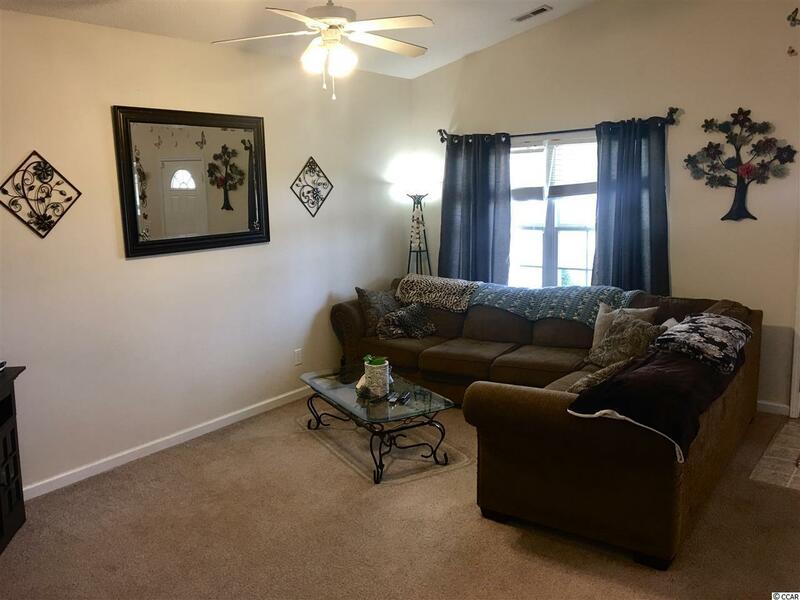 Dont miss this 3BR/2bath ranch hidden off the beaten path in the neighborly community of Carolina Pointe, w/ no HOA fees, in a sought after school district. 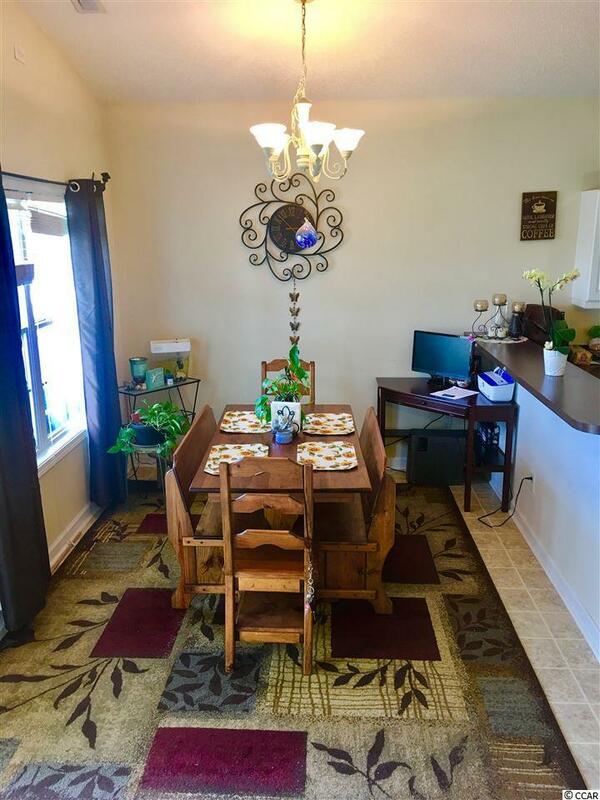 This lovely low maintenance jewel takes comfortable living to a new high by offering a spacious open layout, vaulted ceilings and tons of natural light throughout the entire living & dining area. 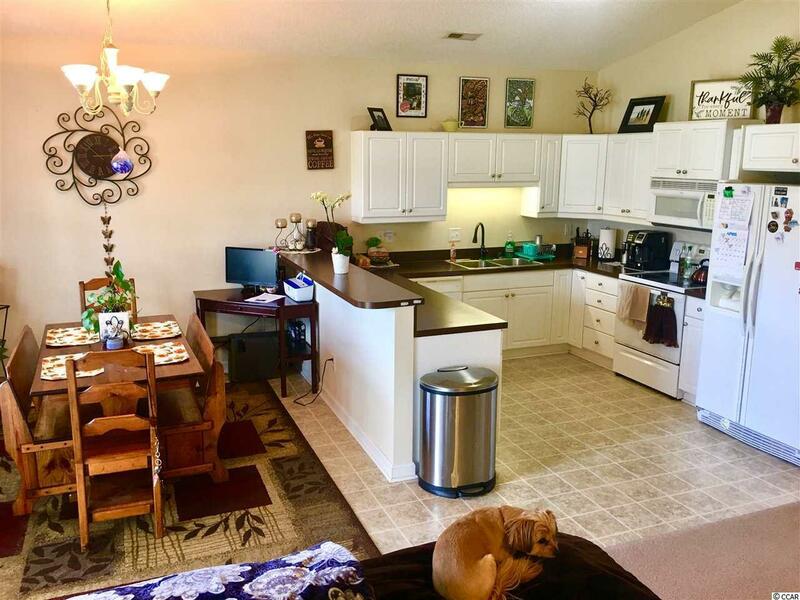 The kitchen is well-equipped w/ ample supply of cabinets and plenty of counter space featuring a breakfast bar and hall pantry. The roomy owners suite features a tray ceiling, sizable walk-in closet, large private bath w/ vanity, & tub/shower. Ceiling fans are all over for great circulation & energy efficiency. The very spacious laundry room leading to 1 car garage and patio that over overlooks mature natural area & small creek. Carolina Pointe is a small subdivision conveniently located just off Robert Edge Parkway which allow for easy and quick access directly onto Main St in North Myrtle Beach and the citys Athletic Complex the boasts 143 acres which include 6 baseball/softball fields, 4-8 multi-purpose fields, 5 to 10 acre water park, 2 to 5 acre dog park, walking & biking trails, playgrounds, amphitheater, etc. Carolina Pointe gets you out of the hustle and bustle yet with quick access to healthcare, shopping, restaurants, and world-class golf. 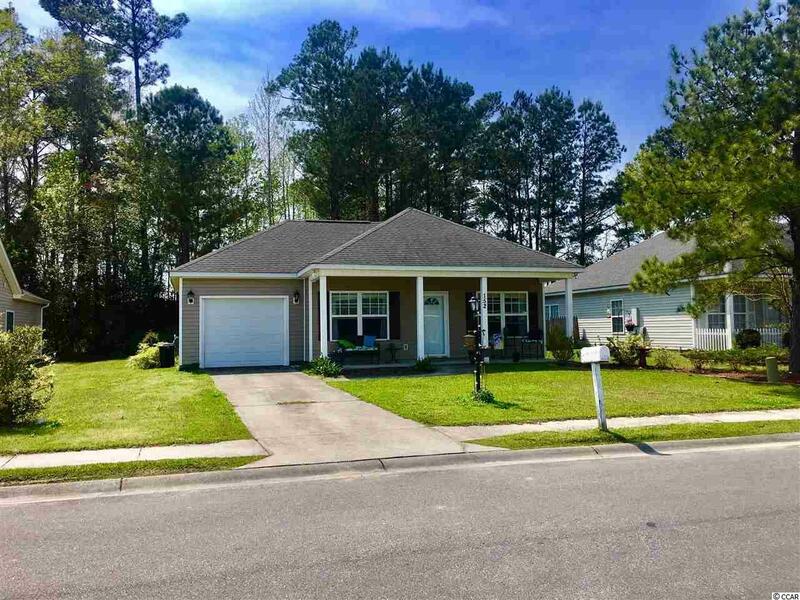 Youre just minutes to the white sandy beaches or the famous restaurants of the Grand Strand. Come see why Myrtle Beach area is consistently ranked by the Travel Channel as the top family resort destination. Better still, relocate and experience the temperate climate and friendly people. There are few places which combine a laid back lifestyle with so many seaside dining and entertainment options. The only thing missing is YOU! Please note the art decals that you see on the walls are easily peeled off. Buyer and buyer's agent are responsible for due diligence to verify all property data contained herein, e.g., square footage, room sizes, schools, etc.